A brand’s position is the set of perceptions, impressions, ideas and feelings that consumers have for the product compared with competing products. Marketers plan positions that give their products the greatest advantage in selected target markets, and they design marketing mixes to create these planned positions. In planning their positioning, marketers often prepare perceptual maps that show consumer perceptions of their brand versus competing brands on attributes that are important to the consumer, whether functional or symbolic. -This is revealed by the positions of the marketer’s brand and competing brands along the axis. 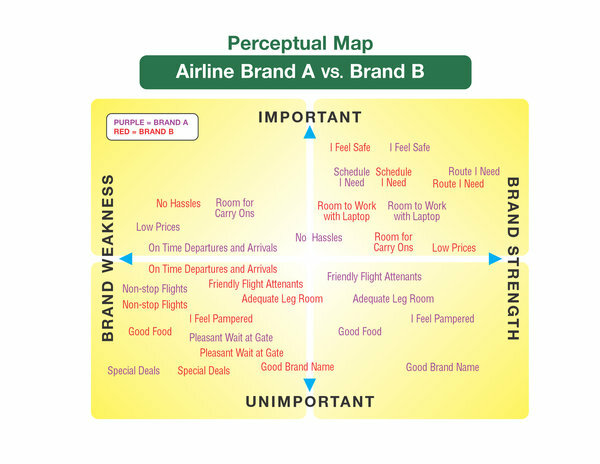 -Perceptual maps show differentiation among products in the customer’s mind. -For example, in a perceptual map representing the car market based on two dimensions, “conservative “ vs. “sporty” and “classy/ distinctive” vs. “practical/affordable,” Porsche will probability be seen as the classiest and sportiest of the cars in consumers’ minds, providing the brand with a strong competitive advantage. -Assess opportunities for new brands, as well as for repositioning existing brands. -Empty spaces near an ideal point (meaning an attractive market segment) on the perceptual map represent potential market opportunities. -In addition, perceptual maps show how ideal points shift as markets mature, and therefore a brand might shift its positioning in order to retain or gain a competitive advantage. What do you do when your product’s features are not registering with customers? 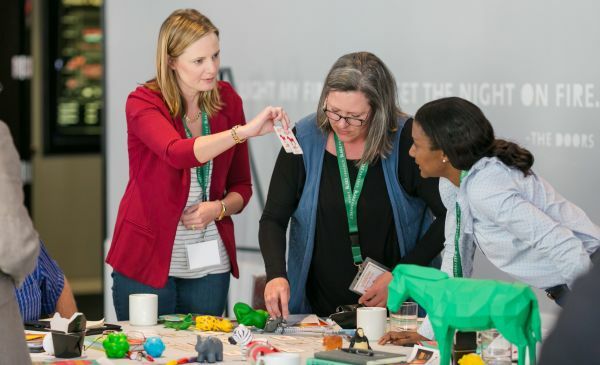 If a brand has a competitive advantage on an attribute that is not salient, marketers can educate their customers as to why it is important and show them why they should care about this attribute. If this does not work or if your positioning is not registering, marketers usually consider changing their positioning with a strategy that is more likely to be effective. A perceptual map is one of the strongest visual representations to support a brand positioning strategy. Do you feel it is necessary for the perceptual map to be statistically accurate using quantitative analysis, or can it be performed using qualitative analysis with a more subjective view?